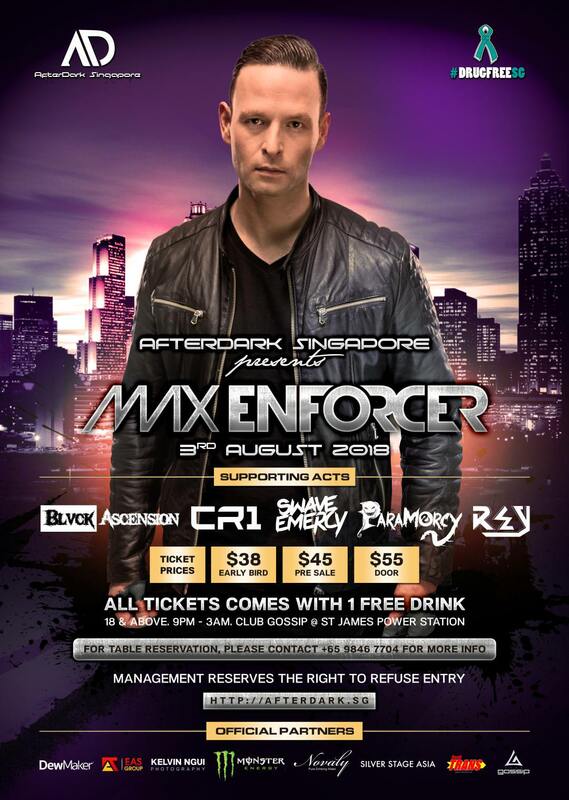 Join us on 3rd August 2018 at Club Gossip, St James Power Station for Max Enforcer first ever performance in Singapore! Supported by 5 local hardstyle acts, get ready for a night of hardstyle. Bottle purchase guest lists are limited for sofa reservations only. Whatsapp or SMS 9846 7704 for table reservation enquires now! QR Code scanning is required for entrance. Show QR code on your phone or printed at the door. Like our page AfterDark Singapore for latest updates!